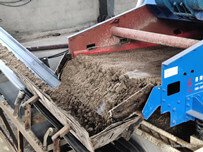 Because of the low efficiency of the traditional sand making machine, and the high energy consumption of the sand making machine, the cost of production mechanism sand is high. And the sand produced by the traditional sand making machine has some disadvantages, such as poor grain shape, uneven distribution, and so on. 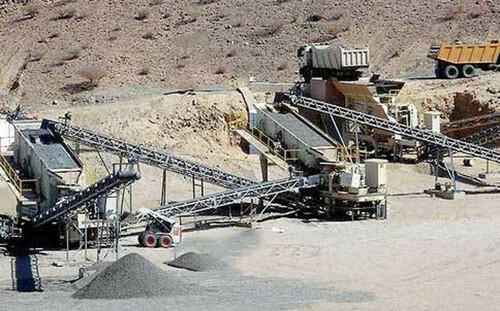 Longzhong in machinery to solve these problems with the domestic technology center, concrete aggregate and cement industry technical experts, increasing sand making machine equipment R & D, boldly carry out technology innovation design, machine equipment for crushing thick broken jaw type sand making production line, and crusher in fine crushing equipment was improved. 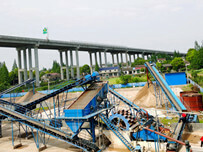 The development of efficient and reasonable sand production line. 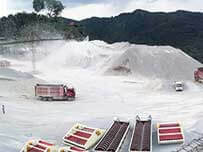 And the introduction of foreign advanced technology, the integration of domestic characteristics of sand and gravel, thus developing a new sand making machine. 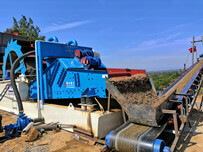 High efficiency sand production line with low energy consumption, high production capacity and crushing effect.